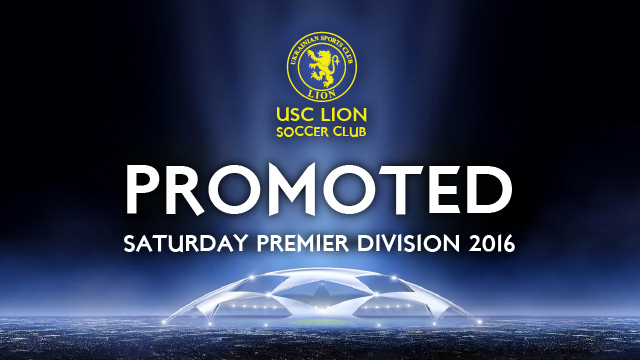 USC Lion Soccer Club has secured promotion into the Saturday Premier Division for the 2016 season. Congratulations and thank you to all the players, coaches, committee, volunteers and sponsors on their efforts in reaching this achievement! Preseason details will be announced shortly.